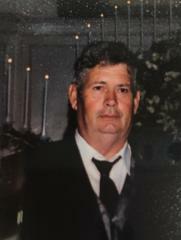 Mr. Roger Dale Bell, 71 of Huntingdon, passed away Wednesday, June 27, 2018 at Baptist Memorial Hospital in Oxford, Mississippi. Funeral services will be conducted 10AM on Saturday, June 30, 2018 in the Chapel of Dilday-Carter Funeral Home. Burial to follow in the Hebron Cemetery. Mr. Bell was born on April 12, 1947 in Buena Vista to the late Felix and Myrtle Noles Bell. He served in the US Army and was a farmer. In addition to his parents, he is preceded in death by: brothers, Leonard, Wayne, and Wilburn Dale Bell; and sisters, Blondell Seiber and Opal Pruett. He is survived by: 1 Daughter, Sherry (Derrick) Surrette of Clinton, MS; 1 Son, Eric (Wendy) Bell of Huntingdon; 1 Sister, Brenda Bell of Huntingdon; 3 Grandchildren, Chaisee Bell, Keslyn Bell, and Leah Belle Surrette. The family will receive friends on Friday, June 29th from 5-8PM and then on Saturday from 9AM until time of services. Dilday-Carter Fuenral Home is in charge (731)986-8281 or www.dilday.com.